A hungry bear was caught breaking into a home in North Lake Tahoe. 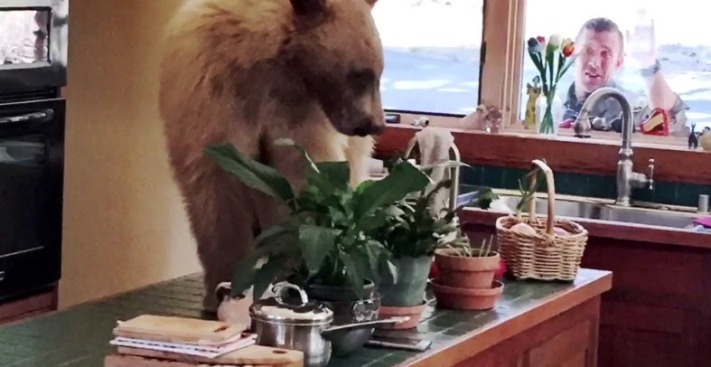 A hungry bear was caught on camera breaking into a Lake Tahoe home and searching through the kitchen. The homeowners called the Placer County Sheriff's Office to report the bear. Responding deputies were able to chase the bear out of the house, according to the Sheriff's Office. No injuries or damage was reported in the incident. Authorities are reminding residents in the area bears are starting to come out of hibernation and to use caution if encountering them.